The president-elect Donald Trump has stunned nuclear weapons experts by appearing to call for a renewed arms race on his Twitter feed and in a TV interview. “Let it be an arms race,” the president in waiting was reported to have told Mika Brzezinski, co-host of MSNBC’s Morning Joe programme, in an early phone call on Friday. The incendiary comment followed a tweet on Thursday in which Trump threatened to preside over a major ramping up of the US nuclear arsenal. “The United States must greatly strengthen and expand its nuclear capability until such time as the world comes to its senses regarding nukes,” he wrote. The volley of remarks had Trump aides scrambling into damage limitation mode, but their efforts were powerless to neutralise the shock waves of alarm and bewilderment provoked by the president-elect’s remarks. I am NOT opposed to modernising and expanding OUR Nuclear and Conventional weapons’ capacity and size. I’m a firm believer in Reagan’s “Peace Through Strength/Trust BUT Verify” and Teddy Roosevelt’s “Speak softly, but carry a BIG stick” view of National Defense and the Military. I believe a STRONG America is a FREE America and a much more Peaceful America. 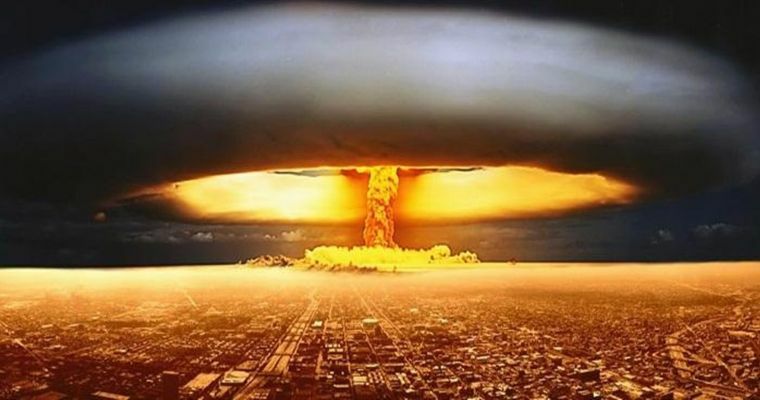 I simply am NOT convinced DT is stable, sane, rational and even-tempered enough to carry pocket knife let alone be in control of a nuclear arsenal that DESTROY THE ENTIRE WORLD SEVERAL TIMES OVER. These ten gentlemen were all, at one time or another, tasked with carrying out a president’s order for launching a nuclear strike. Now, like others before them, they’ve joined together to release a letter opposing a Trump presidency. These are the guy that have lived dreading that moment that they would have to unleash hell on the world, but emerged with their consciences intact. In the letter, they voiced their concerns. It sounds as if Blair and his colleagues have been paying attention. They just see Donald Trump as too ignorant to be left in charge of handling something as important as our nuclear weapons. Yep, but that is all water under the bridge now. America has elected a hot-headed Marxist liar instead of a cold-blooded Marxist liar. WE Real Conservatives warned you against the selection of DT as the G.O.P. nominee. WE Real Conservatives warned you against the electing of DT as President. YOU voted for him anyway.